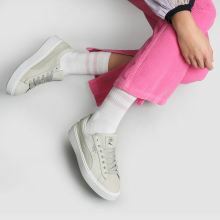 Step it up, the PUMA Platform Shimmer sneaker has. 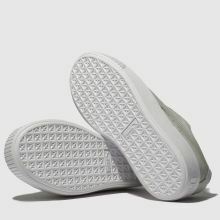 Sitting on a 4cm flatform sole, this profile will let you keep up with the off-duty style scene. The light grey leather upper features a shimmering Formstrip and silver foil branding.